This year, TripAdvisor.com’s users rated Havana their number-one on-the-rise travel destination. Hardly surprising, given Cuba’s temperate weather, proximity to the U.S. and the fact that few Americans have set foot in the country over the past fifty years. For many, curiosity about our near neighbor contributes to the mystique of this once-forbidden land. “On an Insight Cuba program, travelers gain unique access to people and places the average tourist rarely sees,” says Alison Coelho, director of Cuba operations for longstanding Cuba travel provider Insight Cuba. 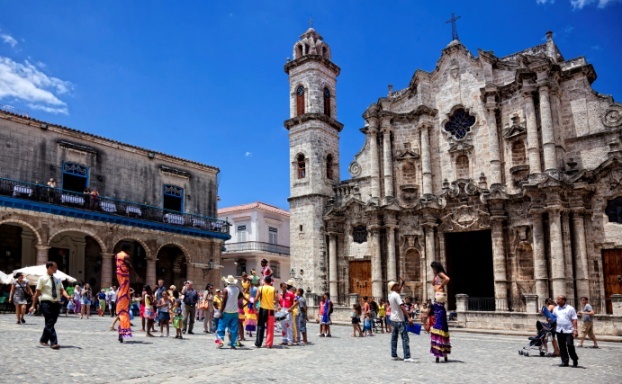 “Whether you prefer to hot-step it in a salsa club, tour a cigar factory or sip a mojito in one of Hemingway’s haunts, energy buzzes in and around Havana’s historic city centre, a designated Unesco World Heritage Site,” says TripAdvisor.